In case you don’t have the pleasure of living near me and experience my recent Firefly excitement, here’s what you are missing out on. This month Dark Horse released a comic written by Patton Oswalt entitled Serenity: Float Out which covers a story focusing on Wash’s friends. Check out this io9 page for some story spoiling and a preview of the first few pages. I however am still waiting on my copy to arrive via snail mail. Dark Horse is also releasing another Serenity series starting November 24 called Serenity: The Shepherd’s Tale…obviously covering much anticipated backstory on Book. I can’t wait, although I am seeing mixed news on whether it’s a series, a one time graphic novel or what….either way, exciting. The stories of how these both came to be are interesting too, google around because I’m lazy but feel free to start at this Wikipedia article. 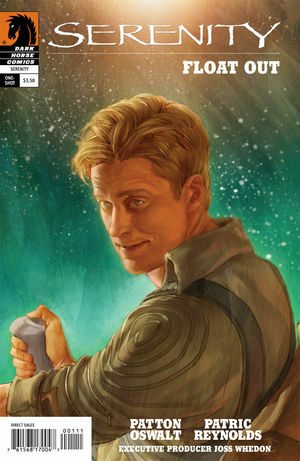 And to keep you entertained in the meantime, here is an excellent Firefly fanfic mini novel from 2008 written by Steven Brust. I remember reading My Own Kind of Freedom on a business trip and thoroughly enjoyed reading it and the author really covered the characters and feel of Firefly well. I fully intend on re-reading this in the near future. My copy of Serenity: Float Out has finally arrived, definitely a worthy read if you get a chance to pick it up.